National Association of Watch and Clock Collectors - This is the NAWCC site. 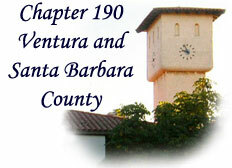 Includes a message board, gift shop, membership and chapter information. NAWCC Bulletin Index Search - Online search facility for the NAWCC Bulletin. The British Horological Institute - The British Horological Institute site containing a lot of good technical information on clocks and watches. The best part of this site may be the extensive 'Workshop Hints and Tips' page. Abbey Clock Clinic - Mark Headrick's Horology Site containing a vast amount of technical information on watches and clocks. Don't miss the animated escapement images! Clock-Watch - A technical site covering both clocks and watches. Many excellent animations showing different aspects of clock and watch operation. 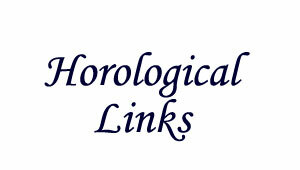 Also, an extensive listing of horological trademarks. English Silver Hallmarks 1736-1975 - A comprehensive listing of English silver hallmarks. Invaluable for dating English silver pocket watch cases. Antique Clock Identification and Price Guide - An excellent source for identifying and valuing clocks. Most resources on this site are free, but viewing prices requires a membership fee. 400-Day (Anniversary) Clocks - John Connolly's 400-Day clock site. A good site for identifying 400-Day clocks. Jefferson Electric Clock - Troubleshooting and repairing Jefferson Golden Hour, Golden Helm, Golden Minute and Golden View clocks. The Elgin Watch Collector's Site - A very comprehensive site on Elgin watches. Provides serial number lookup on specific Elgin watches. Extensive collections of Elgin technical and advertising information. NAWCC Waltham Serial Number Lookup - An NAWCC site that allows you to obtain information on any Waltham watch by entering the serial number. Hamilton, Hampden, Rockford, South Bend Lookups - Database of known watch grades for Hamilton, Hampden, Rockford and South Bend watches compiled by Henry Burgell. Columbus Lookup - Database of known Columbus watches compiled by Sam Kirk. American Watch Company Web - Tom McIntyre's website containing extensive information on Waltham and other pocket watches. Hamilton Horology - Hamilton serial number information, manuals, catalogs, advertising pieces and other Hamilton factory information. Timesavers - Extensive inventory of new clock parts and tools. Merritt's Antique Store - Another good source for clock parts and tools.